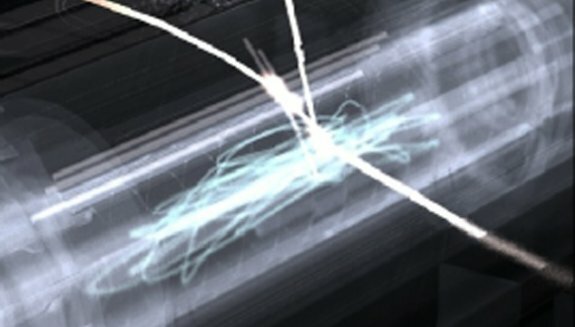 CERN researchers have managed to trap antihydrogen atoms for 16 minutes and 40 seconds at world's largest physics laboratory in Geneva, Switzerland. That's roughly 16 minutes and 40 seconds longer than the first attempt in 2010, which lasted for only 172 milliseconds. More info at TIME. How'd they pull it off for over 16 minutes? Physicists working on the ALPHA experiment at the world's largest particle physics laboratory in Geneva, Switzerland "loaded" the trap by producing "anti-atoms" (sounds so Ed Wood, no?). Those anti-atoms were created in a process that involved "merging cold plasmas." Okay, so antimatter is kind of like lightning—another type of plasma—or at least has a relationship to it, in terms of how it's produced.